The Hoisbauer in Dorfgastein makes the perfect holiday accommodation for a relaxing break surrounded by nature. In addition to the many farm adventures on your family holiday in the Gastein Valley exciting activities await you in the region. 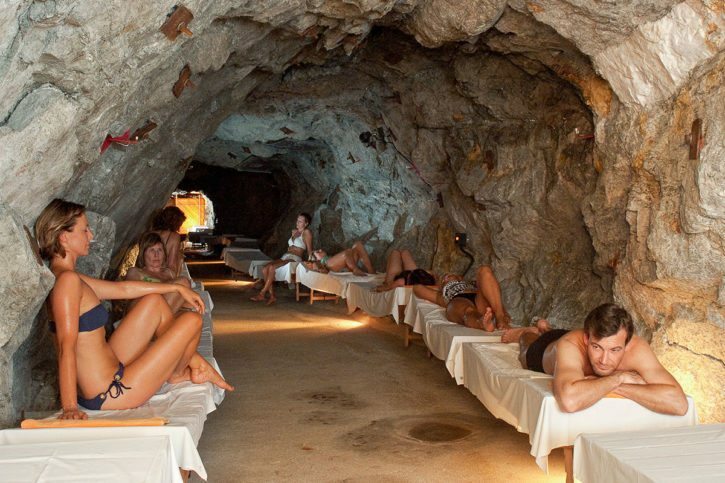 Particularly popular are the modern thermal spas and healing caves in Gastein. 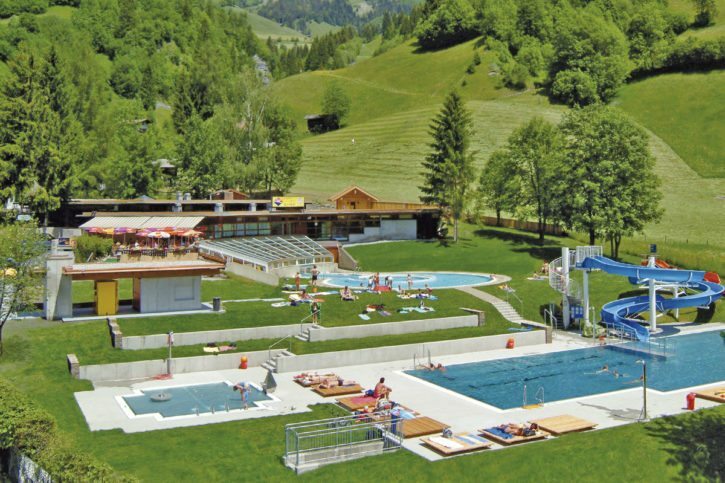 Pay a visit to the local Solarbad, the Alpentherme in Bad Hofgastein, the Felsentherme in Bad Gastein or the Gastein Healing Caves for really relaxing hours on your summer and winter holiday in Salzburger Land. The Alpine Solar Baths, just a few metres from the cable car valley station offers guests a pleasurable swim in 26 °C to 28°C warm water. The swimming complex lies in the sunniest part of the Gastein Valley and is the FAMILY POOL. 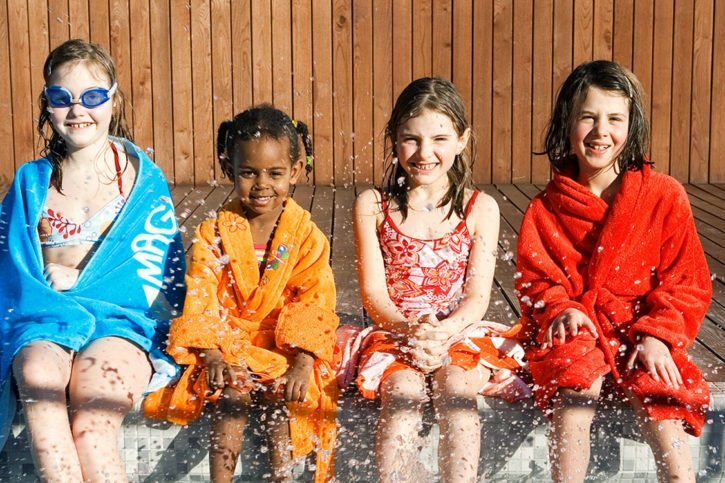 Warm water, sport, action and children’s pools, giant water slide, large sunbathing area, solarium, sauna await. Six adventure and health worlds, a glass sky bar with a unique 360° panoramic alpine view, multi-media dome, huge water slides, geysers and a sauna world with own mountain lake is on offer on over 32.000 m² for your spa holiday. 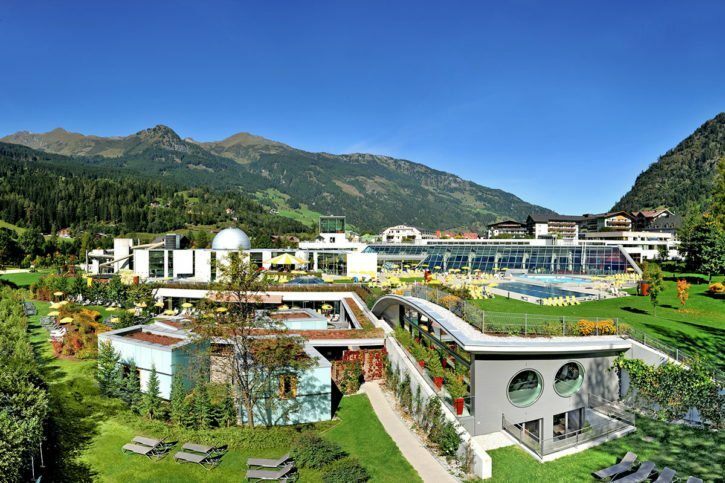 The Rock Spa in Bad Gastein offers a wide range of spa facilities at an altitude of 1,100 m above sea-level. Six spa areas guarantee a relaxing stay and a unique spa experience for all your senses.